We believe that pig's should be able to be pigs, and that means rooting and running around in the fresh open pasture and woodlot like they should be, not crammed in a feedlot! We focus mostly on our pasture feeding with lot's of veggies and produce mixed in. We are proud to partner with local businesses like https://www.bodhitreemarket.com/ and http://rootdown.in/ who provide us with local juice pulp and produce. Any grain that our pig's do get is a local milled Non -GMO ration. 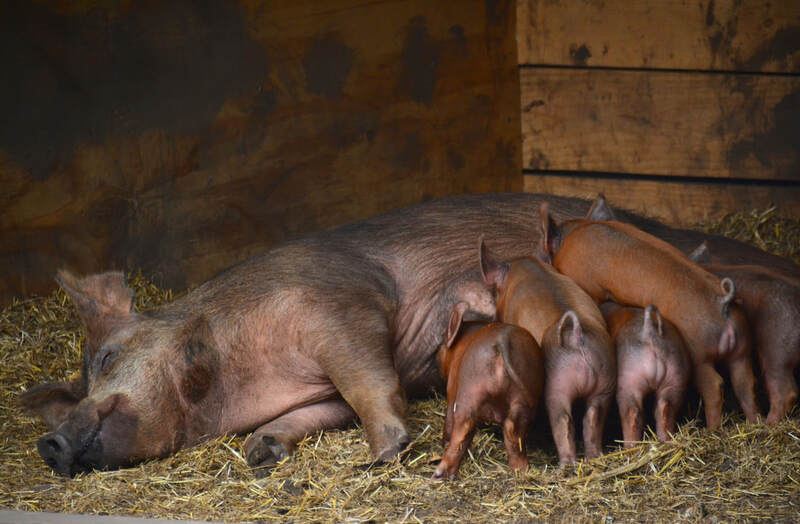 We pasture raise heritage breed Registered Tamworth pig's for their great foraging abilities, mothering skills, hardiness, and of coarse great pork! 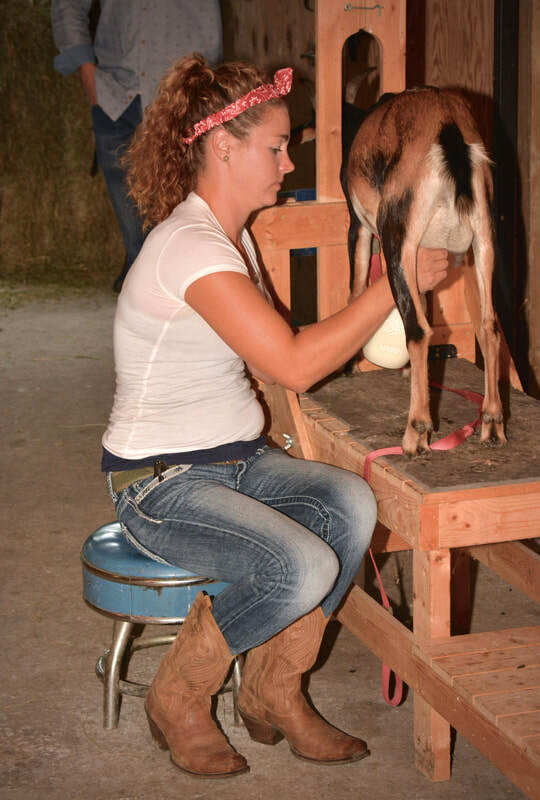 We currently milk a small herd of goats on the farm that provide us our customers and other animals with fresh milk and meat throughout the year. We feed our goats a fermented alfalfa which is great for digestion and milk production along with lot's of fresh pasture greens and browse throughout the summer. In the winter months they get local organic hay and produce scrapes. Our milking doe's get a steam rolled oats ration when in milk. If you are interested in goat meat we have portions available throughout the year, please contact us for pricing information. We currently have a large assortment of free range hens, all of which are heritage breeds. We raise our chickens, ducks and quail directly on pasture and rotate them daily/weekly spring-fall to ensure they get lot's of good green's and bugs, which means bright orange nutrient packed yolks for you! 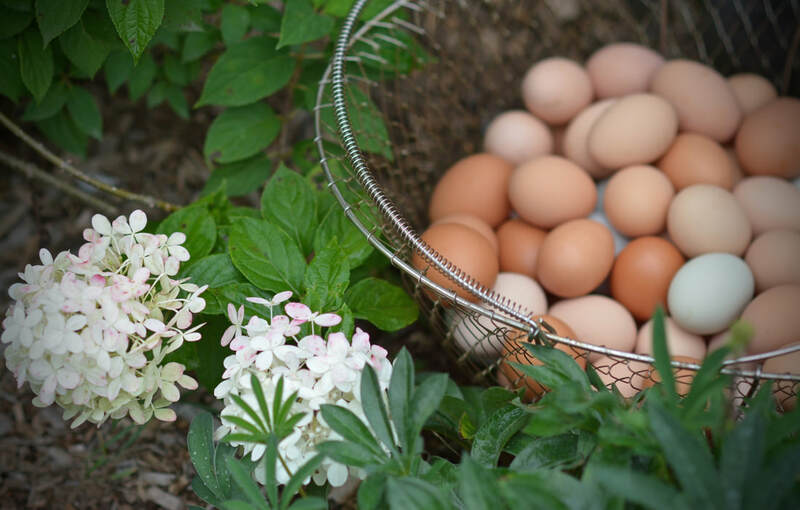 We have chicken and duck egg's available for $5 per dozen and quail egg's available for $2 per dozen. All of our broiler chickens are raised outdoors spring-fall on pasture and are moved to new ground daily to forage. We only raise Freedom Ranger breed broiler chickens for there slower growth rate, better foraging skills and because we believe they are overall a much healthier broiler! We are now taking orders for 2019 pasture raised chicken! All lambs are born here on the farm and are raised to an age of between 9-11 months. Lambs are on pasture spring through fall until they are ready for harvest. We are now taking orders for 2019 pasture raised lamb! Our turkeys free range all summer out on our pasture until they are ready for Harvest a few days before Thanksgiving. Now taking orders for 2019 pasture raised turkey! Our cow's are 100% grain free! We feed pasture and forage in the spring-fall and feed local organic hay in the winter. Now taking orders for grass fed beef December 2019! Please contact us for pricing information! We would love to answer your questions. If you are interested in a Hidden Creek Farm Brochure please email us and we will mail you a paper copy or send you a PDF.